With a legacy of nearly two decades of research & development, we’re now entirely dedicated to controlling the complexities of collaboration to help members of collaborative programmes realise the promise of prosperity through partnership. Working together as #VirtuallyOne workforce in the digitally connected collaborative world. Grounded in English Law, and registered with Her Majesty’s Revenue and Customs (HMRC) in the United Kingdom under trade classification code 99000–Extraterritorial Organization & Bodies for tax purposes, our collaborative framework provides globally dispersed and autonomous organisations (each bound by its own organisational rules and laws of their respective legal jurisdictions) with an impartial non-profit structure through which to work together as #VirtuallyOne organisation. The framework underpins the blueprint for three types of outcome-focused programme partnership models, namely Concentric, Continuum and Communal, through which collaborating cohorts enrol as members of Coplexia Collaborative for the predefined duration of a particular programme, or on an ongoing basis. This also allows us to create communities of practice (CoP) through which to build-up core competencies to provide co-operational support services to programme participants with under a Shared Services Centre (SSC) model. In British Government, the Minister for the Cabinet Office, represented by the Crown Commercial Service (CCS) acts on behalf of the Crown to drive savings for the taxpayer and improve the quality of commercial and procurement activity. CCS is an executive agency of the Cabinet Office and operates as a trading fund under the Government Trading Funds Act 1973. Their remit is to work with both departments and organisations across the whole of the public sector to ensure maximum value is extracted from every commercial relationship and to improve the quality of service delivery. Coplexia Collaborative has been appointed as a CCS Supplier under the G-Cloud and Digital Outcomes and Specialists (DOS) Framework Agreements for the supply of services through ‘Call-Off Contracts’ for use by organisations across the UK public sector including central government, local government, health, education, devolved administrations, emergency services, defence and not-for-profit organisations. In the United Kingdom, the Legal Services Board is responsible for overseeing the regulation of all lawyers in England and Wales and there are then eight separate regulators directly regulating the different types of lawyer on a day-to-day basis. 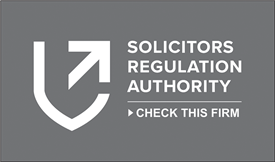 The Solicitors Regulation Authority (SRA) regulates solicitors of England and Wales, law firms of England and Wales, non-lawyers who can be either managers or employees of firms that we regulate; and other types of lawyer, such as registered foreign lawyers (RFLs) and registered European lawyers (RELs). Through the development of the Legal Services Continuum (LSC) programme in October 2017, Coplexia Collaborative became an ‘alternative business structure’ (ABS) Licensed Body authorised and regulated by the Solicitors Regulation Authority, SRA ID 641107, which essentially allows us to own and manage law firms in England and Wales. We bank with Lloyds Bank, the UK’s largest Banking Group. We operate a commercial cashiering service following robust, transparent, trackable and traceable processes and procedures that exceed SRA accounting rules and guidance notes. Our corporate activities are handled by Coplexia Corporation Ltd, a private limited company incorporated and registered in England and Wales under Company Registration number 11115325, at the registered address of 30 St Mary Axe, City of London, London, EC3A 8BF. VAT Registration No. GB 285168963. The corporation is a corporate member, owner and manager of Coplexia Collaborative LLP, a Limited Liability Partnership incorporated and registered in England and Wales under Company Registration number OC399458, at the registered address of 6-9 The Square, Stockley Park, Heathrow, Uxbridge, UB11 1FW. VAT Registration No. GB 136790688. We work together as #VirtuallyOne. Amir is an enthusiastic and knowledgable futurist bringing innovation into practical use. Conscientious and detailed he will deliver to a clear brief with great reliability. After leading one of London's oldest and best known law firms for more than 20 years, I was pleased for the opportunity to help launch one of London's newest names, Lexia Law, as part of the Legal Service Continuum Steering & Commissioning Board.